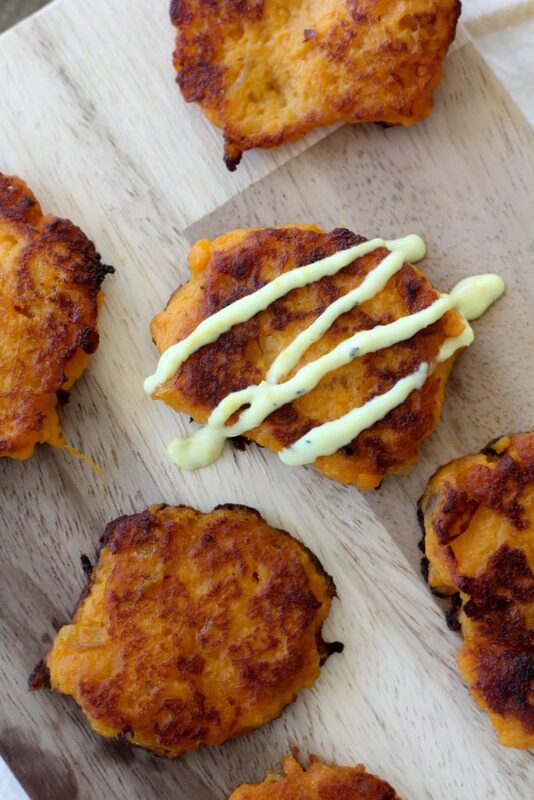 This Sweet Potato Fritters + Turmeric Ginger Dip recipe is brought to you by The Whole Smiths in partnership with NFL Fan Style. These delicious fritters are gluten-free and Whole30 compliant. 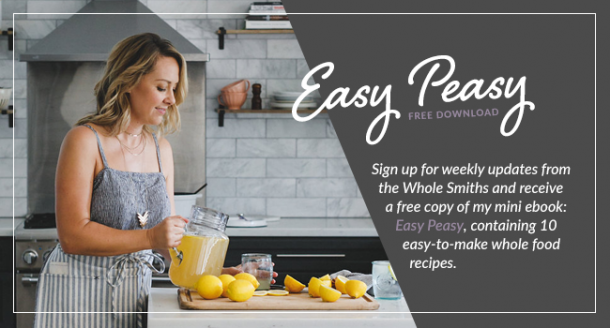 Not only do you get a winning recipe, but I’m also going to show you how you can indulge and still have an amazing Super Bowl LII experience with a healthy twist. In my opinion there’s four total reasons to watch the Super Bowl every year and everybody is bound to watch the Super Bowl for one of those reasons. First we have the game. Obviously. Even if your team isn’t in it (#niners2018), it’s always a great game to watch. Second, we have the Halftime Show and who doesn’t love them a little JT. In fact, Justin is the only boy bander to exist that guys actually love too. Seriously, who doesn’t love JT*. Next we have the commercials and if you want to be able to join your friends in their water cooler talk the next day, you better pay attention to those. And finally, if the other three reasons haven’t hooked you, there’s the food. Super Bowl and food go together like Gronk and touchdown spikes. Like, Deion Sanders and touchdown dances. 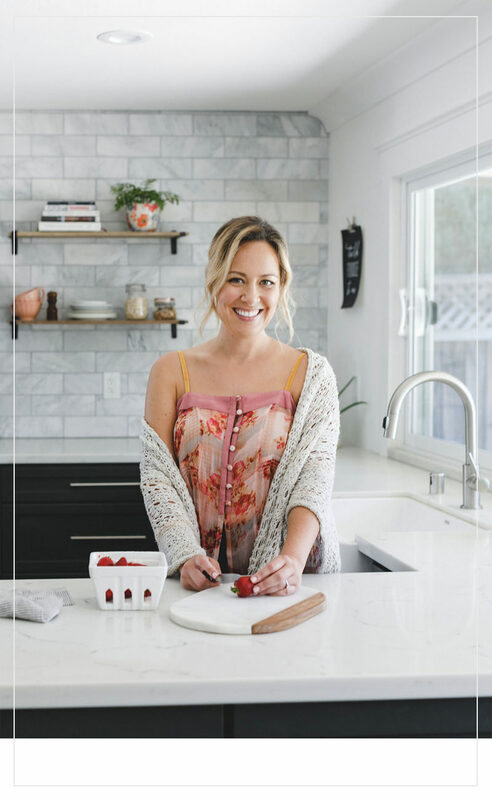 Fortunately for all of you food lovers out there, you don’t need to choose between healthy or non-healthy delicious food to enjoy during your game because I have the key to enjoying yourself and still maintaining your healthy eating patterns. First, things first. What to do if everyone on game day is having a classic beer but it’s not really what you’re into these days? The thing is, you’re probably still wanting something festive to sip on during the game. Not only are mocktails always a great option but I love pouring a kombucha into whatever fancy glass or stein is available. Martini glass? I’m not picky. These days I’m also into Golden Milk Lattes as well, so if you’re heading to a friend’s house to watch the game, feel free to pour it into a giant traveler to-go. My absolute favorite one, EVER is here. And you cannot forget the ginormous selection of flavored sparkling waters these days. You literally cannot its them, every grocery store in the world now has a giant display of them now when you walk in. In fact, feel free to bring a case to share with everyone! Everyone else is sure to need some extra hydration anyways. With the huge assortment of clean, low sugar beverages on the market today there’s no reason you can’t find a festive, health conscious beverage. Now let’s move on to munchies. You know, munchies. The things we sit and mindlessly eat throughout the entire game while we watch an array of hilarious commercials for more munchies?? Those munchies. 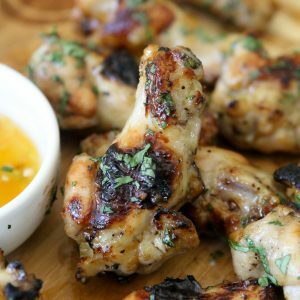 Let’s talk about some things we can eat in place of things like chips, pretzels, candy etc. if we’re going to munch. First, I’m going to suggest my Pizza Kale Chips. You can whip a batch of these up in no time and they’ll actually fill you up with nutritious-y stuff rather. Or you can try out my Delicata Squash Chips + Dip as well. Both are bound to be hits. 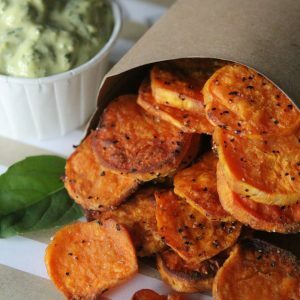 Some other quick munchie fixes include dried mango, pistachios (my favorite are the salt and pepper ones), popcorn, or if you’re really jones-ing for some chips search for ones that are friend in avocado or coconut oil. And finally on to bigger and better things. Throughout this year I’ve shared some killer football sacks like my Peach + Jalapeño Chicken Wings and Patatas Bravas with Garlic Aioli and you’ve loved both. 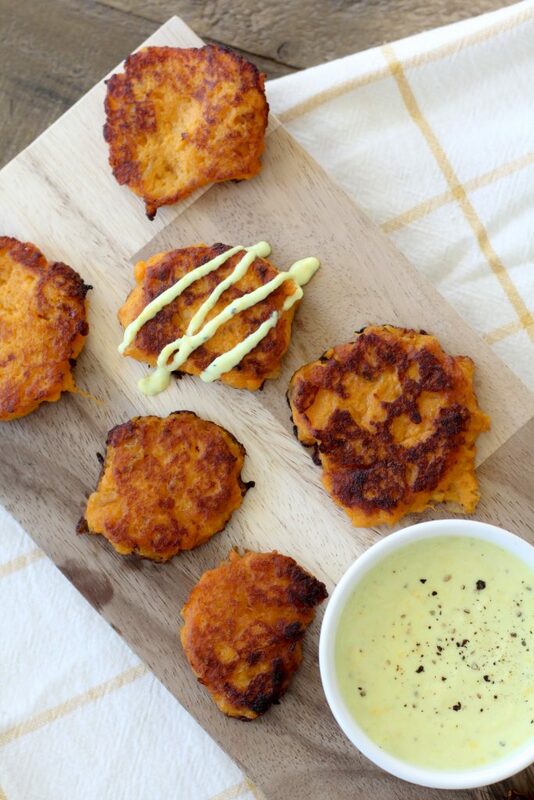 But to that mix I’m now adding these Sweet Potato Fritters + Turmeric Ginger Dipping Sauce. I’m slightly embarrassed to tell you how hard I wolfed these down after I was done photographing them. Hey, don’t judge. I hadn’t eaten lunch that day and had a killer work out in the morning, so there. These are super easy to make but just as a heads up, be delicate while flipping them. I like to use a thin spatula to get under the fritter in order to flip it. Also, be sure not so crown your cooking surface with fritters as it makes it difficult to flip it without destroying it. I typically fry up 4-5 at a time. All right guys, with that I think you’re set on a health(ier) Super Bowl this year! 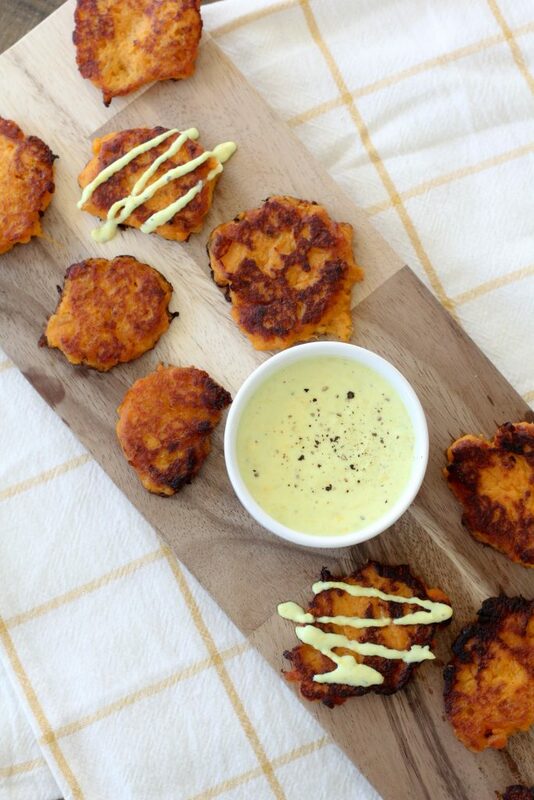 These Sweet Potato Fritters + Turmeric Ginger Dip are brought to you by The Whole Smiths. 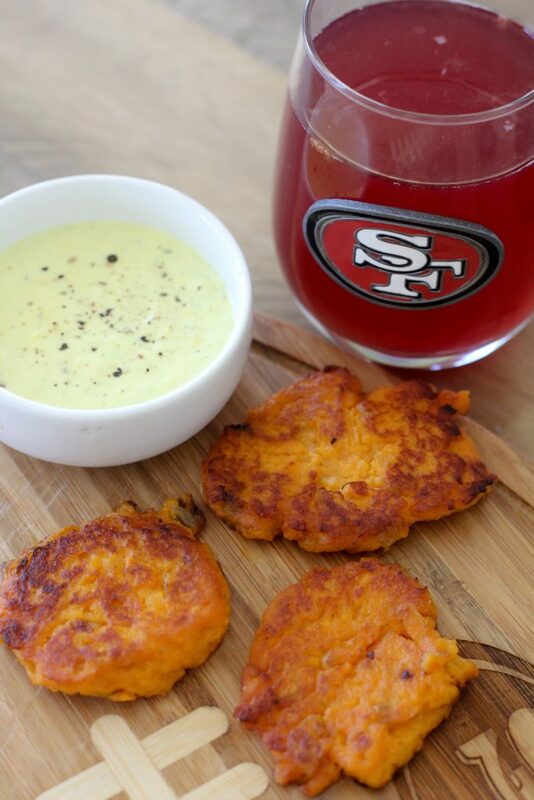 These delicious fritters are gluten-free and Whole30 compliant and perfect for your football watching! Preheat the oven to 425* F. Wrap each sweet potato in aluminum foil and place on a baking sheet and bake for 45 minutes until the sweet potatoes are tender and cooked through. The time may vary depending on size of sweet potatoes. While the sweet potatoes are baking, add 1 teaspoon of coconut oil or ghee to a frying pan over medium heat. Once the oil is hot add the chopped onions to the pan and cook for 7-8 minutes until the onions are tender are lightly browned on the edges. Add the garlic to the pan, stir and cook for an additional minute until the garlic is fragrant. Remove the skin from the baked sweet potatoes while still hot (but cool enough that you can handle them). Add the sweet potato flesh to a large bowl along with the cooked onions and garlic, potato starch, eggs, and 1[1/2] teaspoons of salt. Stir to combine well. Add 1/4 cup coconut oil to a large frying pan or dutch oven and heat over medium heat. Once the oil is hot spoon about 2 tablespoons of the sweet potato mixture into the frying pan. Repeat, careful not to crowd the fritters as it will make them hard to flip. Cook on each side 2-3 minutes until they are lightly crisped and golden brown on the edges. Once done, remove and drain on a paper towel and transfer to a wire rack. You will need to do this in batches. Or feel free to have two frying pans / dutch ovens going at once to shorten the time. To make the dip add the mayonnaise, turmeric, ginger, almond milk, honey, and black pepper to a small bowl and stir to combine. 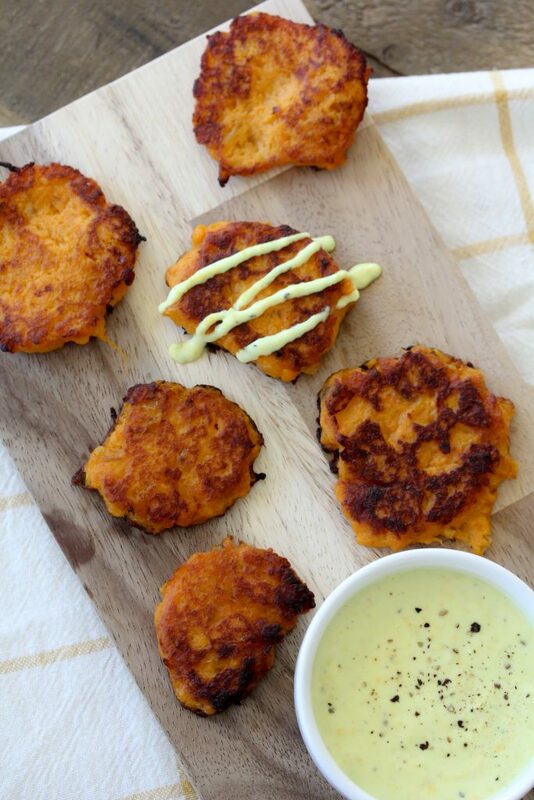 Serve dipping sauce along side fritters. Help? I used to use turmeric here and there when I first started eating real foods but now turmeric tastes like garden soil to me! Arrrggg. I just can’t… do you know any reason behind such a thing taking place? And oregano-even the smell makes me have a physical reaction. I know, weird! Any input is appreciated! 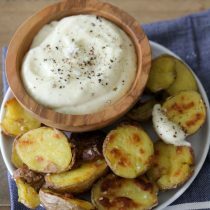 Do you think tapicoa or arrowroot flour could be subbed for potato starch? Looks delicious! Is there anything I could swap out for the potato starch? 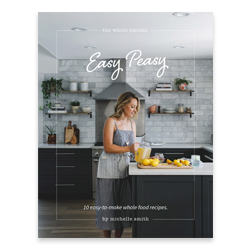 I don’t have any and I’d rather not buy some since I don’t have any other recipes planned that use it. I have tapioca flour, almond flour, coconut flour…would any of those work? Thanks!